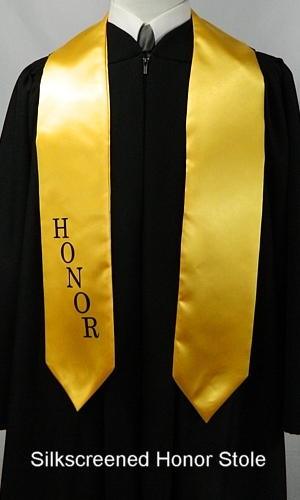 Most stoles are in stock and ready for shipment. 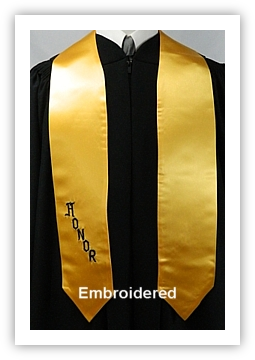 Always plan and order early to avoid potential shipment delays due to seasonal (Spring) demand for these products. 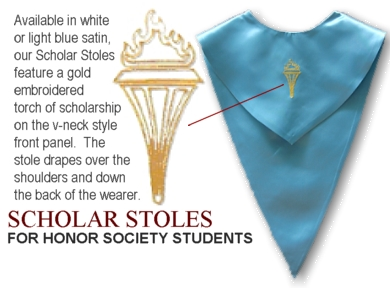 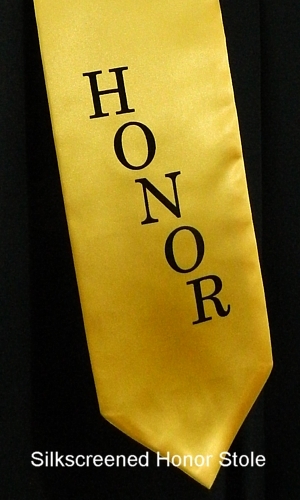 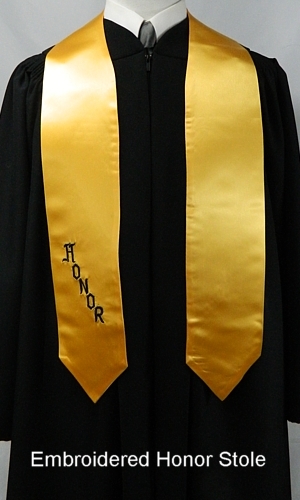 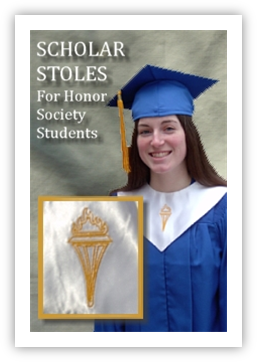 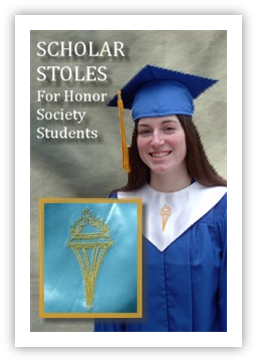 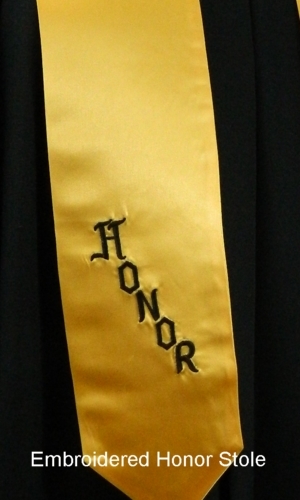 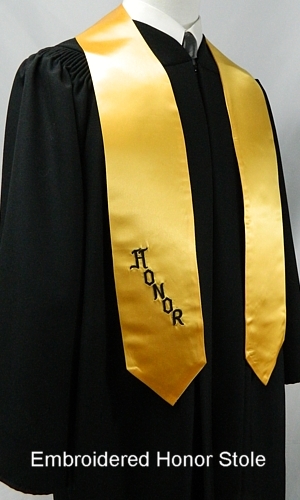 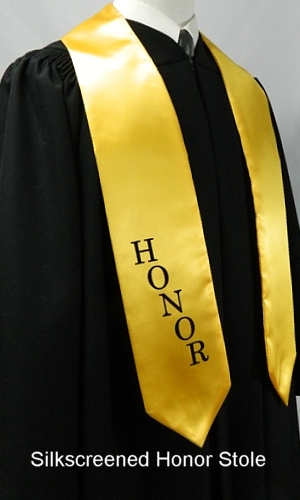 For students who have achieved academic honors, our gold satin honor stoles provide the visual recognition they have earned. 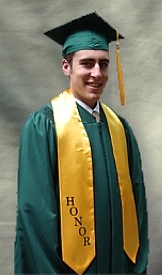 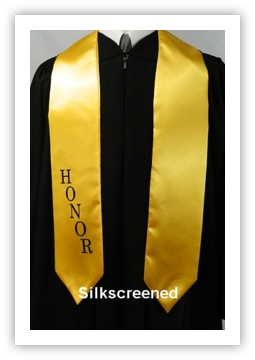 Available in gold satin with HONOR embroidered or silkscreened in black, these stoles are a popular accessory for any graduation ceremony.